Reusable, portable graphics sign for promotions, outdoor events, trade shows and more. 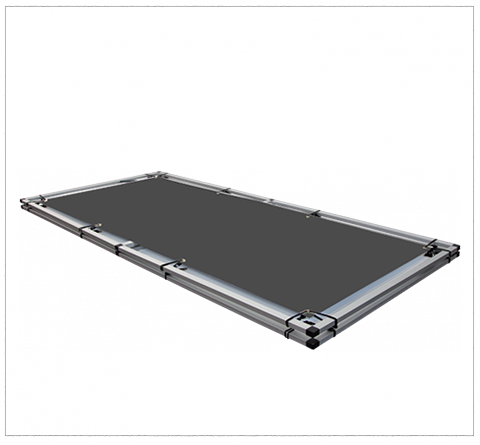 Assembly is quick and easy thanks to lightweight, durable fold-out aluminum frame. Choose between 1 print or 2 prints. 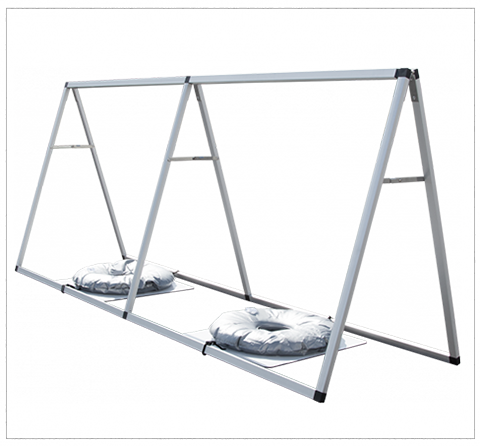 Printed on 13oz Vinyl banner to ensure weather resistance and UV protection when used outdoors. 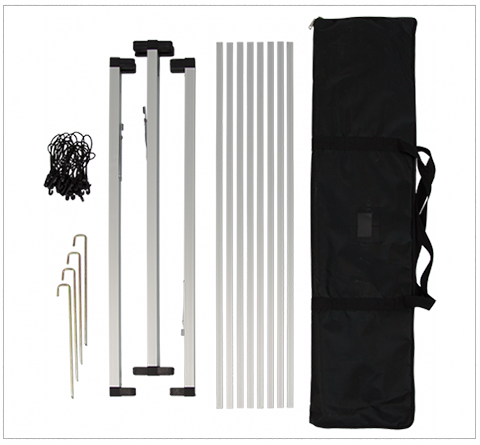 Includes polyester carrying bag for portability and steel ground stakes, which can be used to secure frame when placed on grass and similar surfaces. Order with 2 prints to ensure maximum visibility. print remains taut at all times. and stakes fit inside included carrying case. 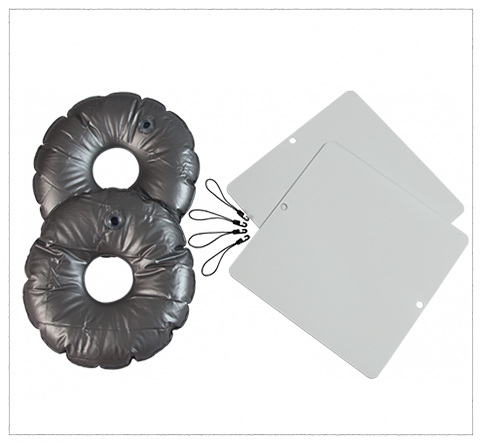 attach plates to frame and place weight bags on top of plates. banner cords and place bags on top of plates. 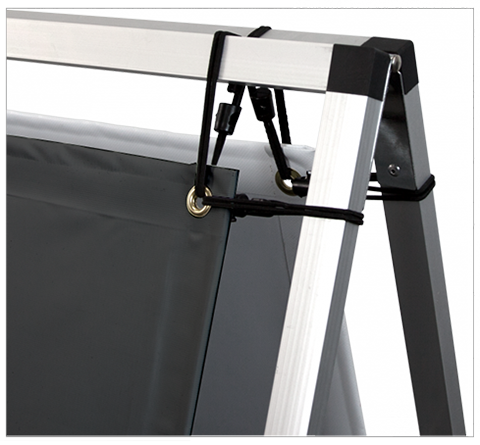 Portable Banner Sign Plates w/ Weight Bags. 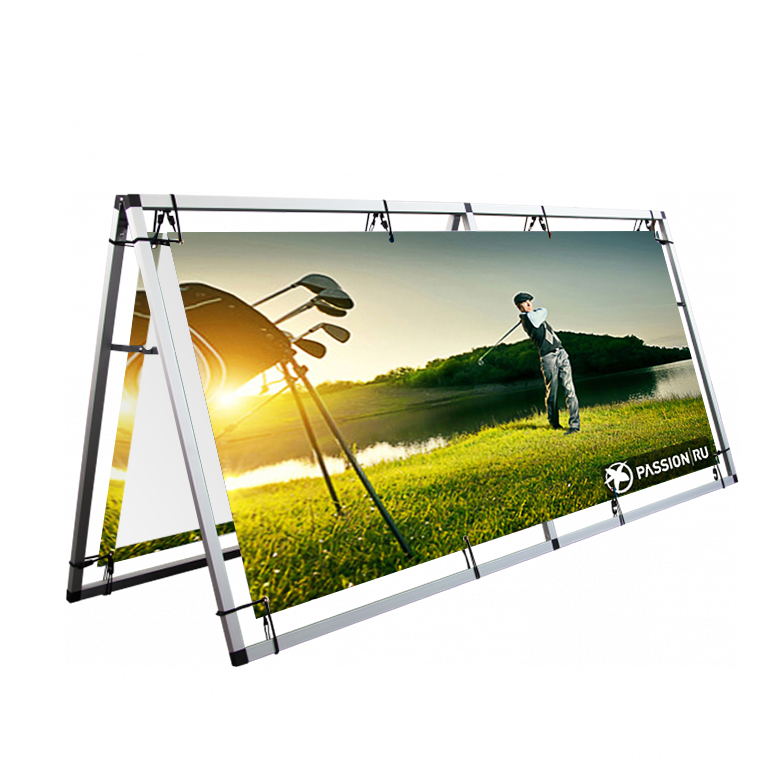 Key points to know about Portable Banner Sign. 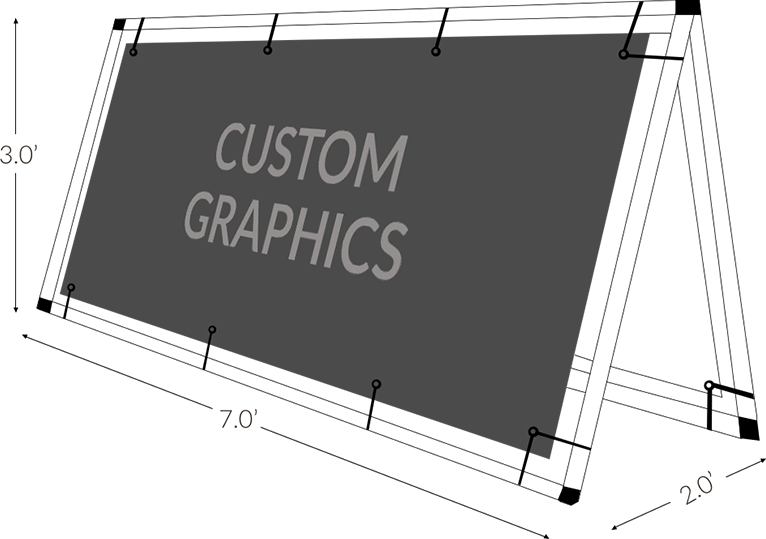 Design your banners any way you want! Full color digital printing is available. Polyester Carrying Bag is included.